David Dial joined the ODI team in the Fall of 2017. 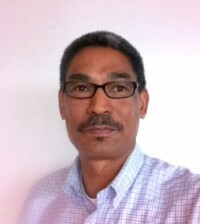 He holds thirty years of experience in cultural facilities operations. Since 1995, he has maintained a consulting practice focused on supporting creative efforts through operational planning, program development, technology integration, and project management. His involvement also included owner’s representation during design and construction, pre-opening planning, and day-to-day operations. In addition to his consulting experience, David served as the Executive Director and Director of Operations for many organizations including the Livermore Valley Performing Arts Center, Yerba Buena Center for the Arts, and Cal Performances at UC Berkeley. Over the course of his career, David has carried the responsibilities of operations, maintenance, and planning for an extensive range of facilities. David currently directs his expertise at ODI towards the transformation of the historic Henry J. Kaiser Convention Center and theater into a world-class cultural arts center.